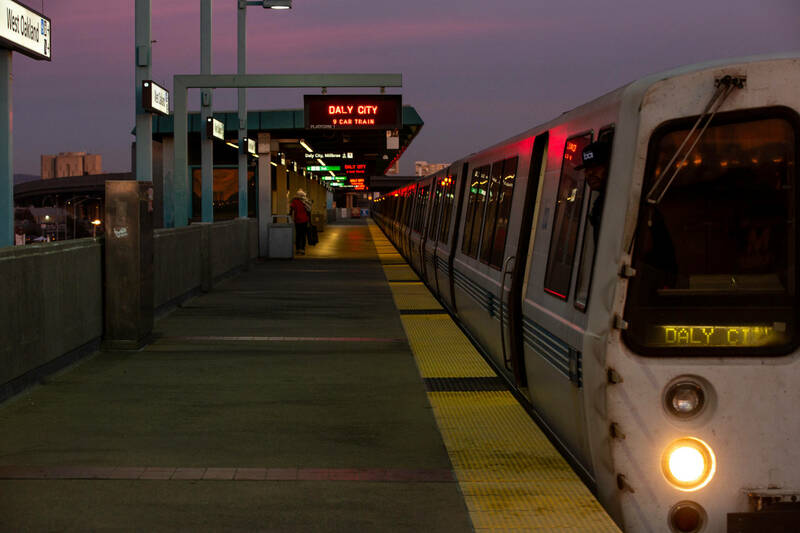 A big, unwelcome change is coming for the hardy crowd of commuters who rise long before dawn every morning to ride BART's earliest trains to work. Starting Monday, BART is changing its opening time from 4 a.m. to 5 a.m., a step the transit agency says is necessary to accommodate a crucial retrofit project in the system's Transbay Tube. "Doing the seismic retrofit work is absolutely critical," said Bevan Dufty, president of the BART Board of Directors, in an interview last month. "The system is closed for so few hours at night that we needed to add this extra hour so we can get this done." Given the tube's importance for regional transportation and how vital its integrity is for rider safety, Dufty added it would be "irresponsible" to put off the retrofit, a project expected to take three and a half years. He acknowledged, though, that the change in morning hours will be a hardship for some. "On behalf of BART, I want to apologize to our riders who are impacted," he said. The brunt of the schedule change will fall on the roughly 2,900 people who ride the system during its first hour every weekday. That might not seem like a big crowd in a region where millions of people go back and forth for work and school and errands every day. But for those few thousands making their way to their jobs in places like San Francisco International Airport or downtown San Francisco, there are few, if any, alternatives in the predawn hours. Take Felipe Enriquez, who has depended on the first run from Oakland's Coliseum Station to get to a janitorial job across the bay. "I have to be in San Francisco by 5 in the morning," Enriquez told KQED News morning news anchor Brian Watt this week. His regular train gets him to the the job by 5:01 a.m., and his boss has been cool with that. Now, with trains "starting at 5, an extra 30 or 40 minutes to get there, it's a whole different situation — it's a whole hour difference, you know?" Enriquez said. BART has partnered with other transit agencies to run buses along 15 different routes as a substitute for the early trains. Enriquez lives just a block from Coliseum station — he usually walks to the station to catch his train. But there won't be bus there. On Monday, the closest Early Bird Express — BART's name for the bus service that will serve 20 stations on both sides of the bay — will run from Bay Fair, two stops and 5 1/2 miles to the south. KQED's Bay Curious: How Safe Is the Transbay Tube During an Earthquake? BART promises an early bus from its Fruitvale station, too, but that won't start until sometime next month. Until then, the earliest Fruitvale bus is AC Transit's O line, which leaves the BART station at 5 a.m. and makes its way through Alameda before heading across the bay, arriving at the temporary Transbay Terminal, at Beale and Folsom streets, at 5:41 a.m. Neither option suits Enriquez's situation well, and both will cost more than simply getting on BART. "I have to drive my car, pay for parking and ride the bus all the way to San Francisco," Enriquez said. "I'm spending gas, paying for parking and spending an extra dollar for the bus. It's just ... it starts to add up." Among the many employers assessing the impact of BART's service change are agencies and businesses at San Francisco International Airport. The airport says about 5,000 of the 43,000 people employed at the facility each week take BART to and from work. SFO spokesman Doug Yakel said that includes about 250 to 350 airport workers who ride the earliest BART trains to work. "Our real focus right now, working with BART, has been on getting the word out to those people," Yakel said. "So we've been working with the various employers — airlines, TSA, and also concessions, you think about restaurants and coffee shops that open real early. It's really people in those types of categories who might be affected." To replace the early trains, BART has partnered with SamTrans for four runs between the Millbrae BART/Caltrain station and the airport. 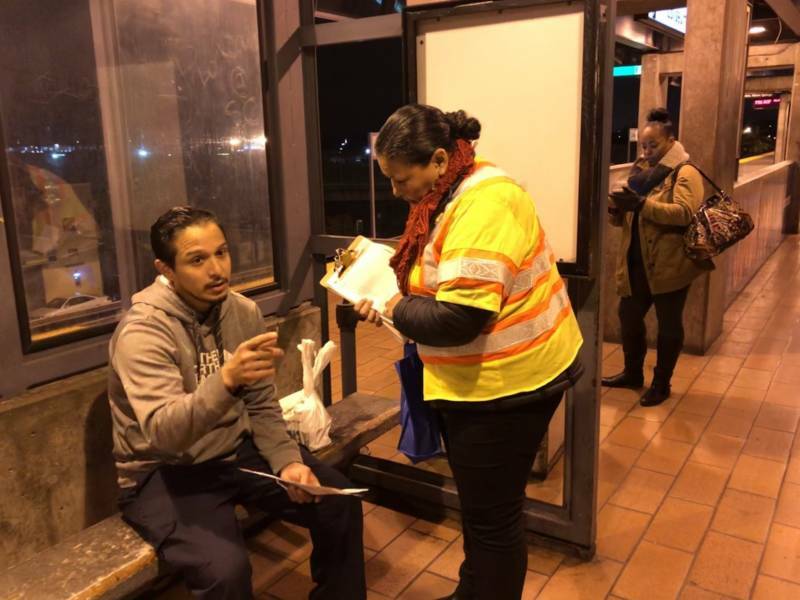 The service will run every 15 to 20 minutes starting at 4:01 a.m. SamTrans will also shuttle passengers to the airport from the temporary Transbay Terminal starting at 4:45 a.m. This post includes reporting from KQED's Anna Sturla, Sonja Hutson and Brian Watt.